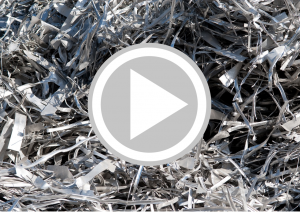 Check out our metals recycling video. Commercial and industrial firms can reduce waste collection costs by increasing the volume of metals and other recyclables such as plastics and paper by working with scrap recyclers to divert those materials into the recycling stream. Construction, automotive, metal fabrication, packaging and other industry sectors generate many types of metals such as aluminum, copper, lead, steel, nickel, zinc and brass that can be easily recycled. Businesses can also create revenue by recycling metals with local scrap metal yards collect and process these commodity materials. 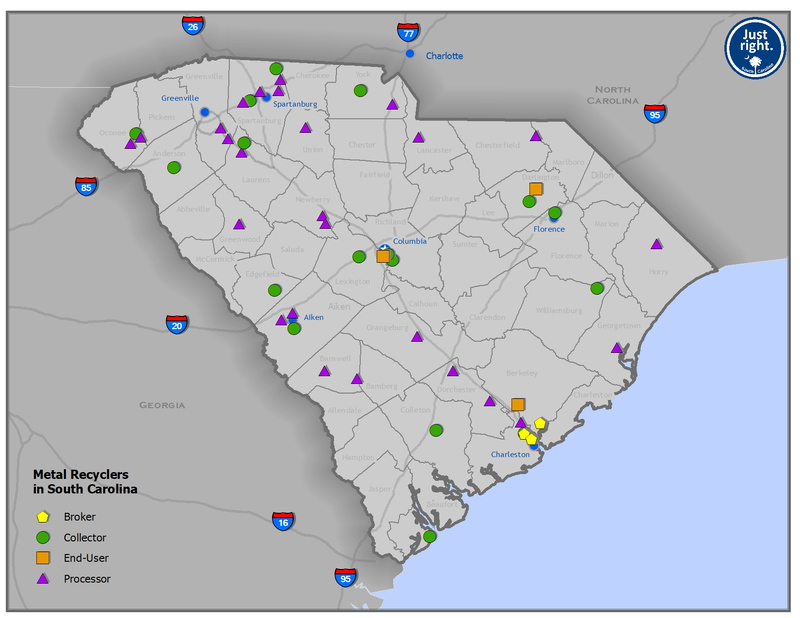 South Carolina has more than 170 companies involved in metal recycling who can haul, process, and manufacture recycled metals for the automotive, construction and building, energy, agriculture, aerospace, tools, and packaging sectors. South Carolina has three steel mills including two at the Nucor Corporation, located in Darlington and Berkeley Counties, and one at CMC Steel in Lexington. Steel is recycled at these locations to create structural steel building products for the construction industry. Similarly, JW Aluminum, a recycled aluminum mill produces siding, automotive body materials, and flexible packaging.